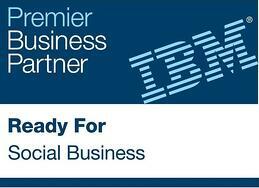 Our solutions are verified for IBM Domino version 10 !! 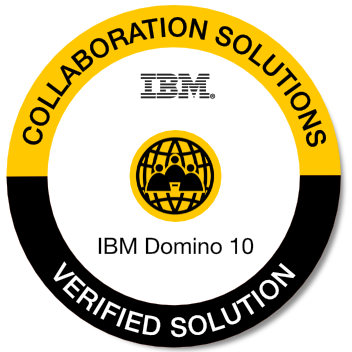 Our DominoProtect, AdminTool, MailProtect, ClientGenie, AdminTool for Connections Cloud and DBTool have been officially verified by IBM as Domino 10 ready. DominoProtect adds an essential extra layer of security for IBM Domino servers. It allows extensive real time prevention and tracking against unauthorised changes and ensures compliance with corporate governance and legal regulations. AdminTool securely automates the user and group management process within the IBM Domino environment. Built on a mature architecture which has been steadily enhanced over the past 10 years it also satisfies a strict compliance audit and reduces administration costs. ClientGenie helps analyze your environment, automates client setup, trouble-shooting and simplifies difficult tasks like; Notes upgrades or server and domain consolidations. With ClientGenie, organizations can easily reduce the cost of managing their Notes environment, relieve the admin team from their workload and enhance the productivity of their end users. AdminTool for Connections Cloud gives organisations the possibility to separate user management responsibilities and relieve technical personnel from processing routine tasks. DBTool provides an easy tool to manage the complete lifecycle of an IBM Notes and Microsoft application. It automates the processes, documents all database attributes, allows audit reports and enforces defined policy settings to assigned databases. Want to know more about our fantastic Domino 10 verified solutions or need help with installation, training or support services?